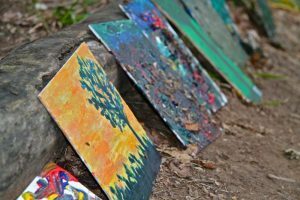 We offer a truly unique Day Camp that provides outstanding programming and care. 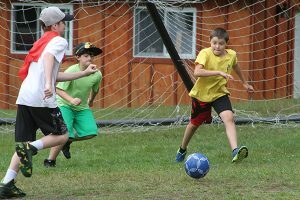 Our Day Campers, receive all of the same daily programs as our residential Campers. 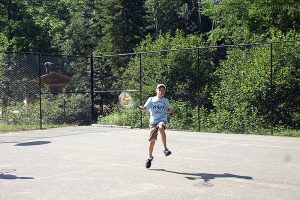 Travelling in co-ed, age specific activity groups, our Day Campers go to FIVE of our EIGHT activities. There is no need to sign up for the activities and all equipment is provided. Included in this program is a full lunch and snack each day. 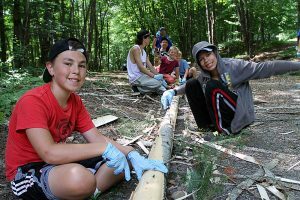 Day Camp is exclusively for Campers aged 5 to 12. Day Campers receive instruction in all aspects of our program. 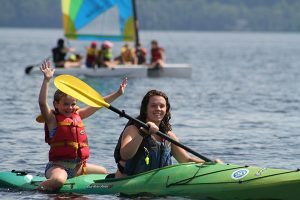 With a dedicated Day Camp Director, you can rest assured knowing that your camper will have an amazing time in a safe and fun environment. The day starts between 9 and 9:20 and finishing up between 5 and 5:30. Arrival and departure times can be altered to meet your individual needs. Click here for Arrowhead Camp Day Camp dates and rates. Please DO NOT bring any food or drink (besides water) to Camp. 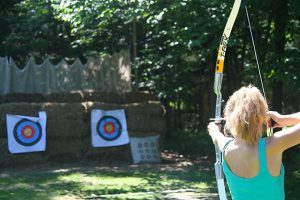 Learn how to shoot a bow and arrow over at the range. With paint, markers, glue, string, paper and more, what would you make? 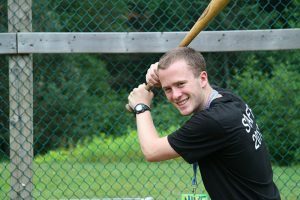 Our diamond hosts games of baseball and kickball. 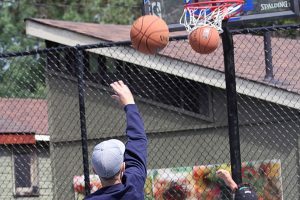 Show us what you’ve got out on the basketball court. 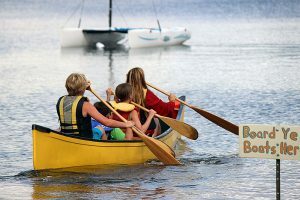 Paddle around the Lake of Bays on a leisurely ride in a canoe. Camp has a large fleet of kayaks for fun on the water. Ride around the lake behind one of our boats on a kneeboard for a thrilling ride! 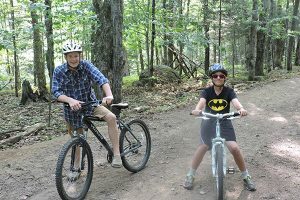 Camp has a great fleet of mountain bikes that you can ride on our fun and exciting trails. Learn to be comfortable in the outdoors through interesting and fun activities. 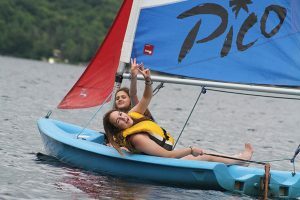 With a significant fleet of sailboats, campers of all ages get to experience all aspects of sailing. Come on down to our huge field to play an intense game of soccer! We offer Red Cross swimming lessons and stroke improvement clinics but if it’s hot, come down and cool off. A lesson from our tennis pros could start you down the path to Wimbledon. We’ll teach you how to pop those wakes or do a rad Wake 180!